My kids know processed foods aren’t healthy or anywhere near the fresh, whole foods they eat most of the time, but they enjoy eating them just like every other kid. Crackers, chips, cookies, granola bars, and cereal—they love all of it. Of course, processed foods are what we don’t want our kids eating. Most processed foods are loaded with sodium, sugar, saturated fat and artificial ingredients you can’t identify or pronounce. They also lack fiber and the vitamins and minerals kids need in their diets. But your child’s health now isn’t all you should be thinking about. Experts say the more processed foods you eat and the longer you eat them can lead to inflammation, leaky gut syndrome and a host of health conditions in the future. But what exactly are considered processed foods? And if you’ve got a picky eater on your hands, how can you cut processed foods from your kid’s diet? Processed foods are those that have been altered in some way. “It includes food that has been cooked, canned, frozen, packaged or changed in nutritional composition with fortifying, preserving or preparing in different ways,” Torey Armul, MS, RD, CSSD, LDN, a spokesperson for the Academy of Nutrition and Dietetics said in this article. Minimally processed foods can include foods that make our lives more convenient. Think washed and pre-chopped fruits and vegetables or bagged salads. There are also foods that are processed to preserve and enhance their nutrients and freshness at their peak. Foods like canned salmon, beans, and frozen fruits and vegetables. I’d say although fresh is ideal in most cases, these two groups are still healthy options for your kids. Highly processed foods are the types however, that should be avoided. There are foods that have sweeteners, oils, flavors, colors and preservatives to improve safety, taste and appeal like boxed potatoes, jarred tomato sauce, and cake mix. Ready to eat foods like cereal, flavored oatmeal, crackers, yogurt, granola bars, cookies, rotisserie chicken, lunch meats, hot dogs, sausage and cheese spreads fall into the category of highly-processed foods as well as those that that are packaged like frozen meals and frozen pizzas. Although it’s not always possible to avoid all types of processed foods, it’s ideal to cut out the highly processed foods and stick to unprocessed and minimally processed foods. Decide which types of foods are realistic for your family to eliminate and those you would like to keep because you don’t have the time to prepare. Go through your pantry, refrigerator and freezer and make a list of the processed foods you frequently buy and decide which ones you’ll cut from your kid’s diet and which ones will stay—at least for now. For example, cooking a roast chicken can replace both a rotisserie chicken and lunch meats but you may decide it’s a better use of your time to use a boxed brownie mix instead of making them from scratch for the school’s bake sale. If your kids eat processed foods most days of the week, cleaning out your pantry and overhauling your kid’s diet can be met with resistance. Instead, try to cut out one processed food each week so your kids feel less deprived and then move onto the next. There are so many amazing food blogs that have easy recipes for healthy versions of your kid’s favorite foods. I don’t recommend kids eat kid-friendly foods, and the goal is to eventually have your kids eat mostly whole foods like roasted salmon with a fresh salad, for example. But when you’re starting out, making a homemade pizza instead of frozen pizza or your own chicken nuggets instead of the boxed type are still a step up. As your kid comes around to your new whole foods lifestyle, make more healthy swaps. Replace sugar-sweetened oatmeal packets with rolled oats and fresh fruit, canned beans with dried beans, and real, homemade mashed potatoes instead of the box version. Replace processed snacks with those you can easily make with whole foods like kale chips, bean dip, air fryer or baked sweet potato fries and ice pops made with fresh fruit. 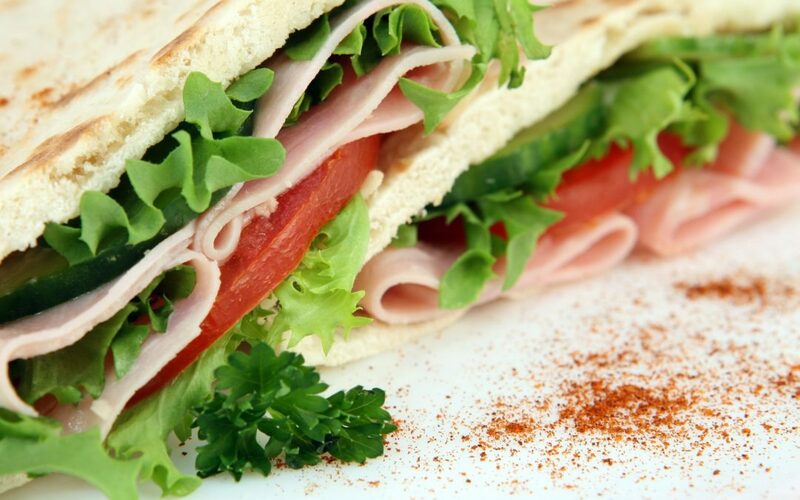 Deli meats are easy and convenient especially for school lunches but they’re also highly-processed. When packing lunches, think about a list of other options your kids will eat like soup, stews, beans, eggs, or leftover meat or fish. Fruit drinks, juice and carbonated beverages are all processed and high in sugar. Filtered water is always ideal but if you have a hard time keeping your child hydrated, add slices of fresh cucumbers or strawberries for some flavor. White flour, bread, rice and pastas are highly processed and lack fiber. Do your best to choose whole grains like whole-grain bread, whole-wheat pasta and wild rice. When you cut processed foods from your kid’s diet, it will require planning, cooking and preparing meals made with whole, fresh foods and more time, but the benefits to your child’s health now and into the future are immeasurable.